At SnooZeal we believe passionately that our original and ground breaking product will revolutionise the treatment of snoring related disorders. SnooZeal is the brainchild of Professor Anshul Sama, and has been developed with the advice and collaboration of a diverse group of experts. 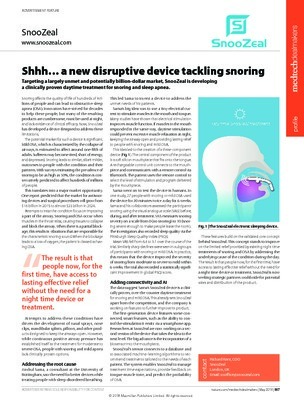 Together they have created a product that addresses the difficult problem of snoring.